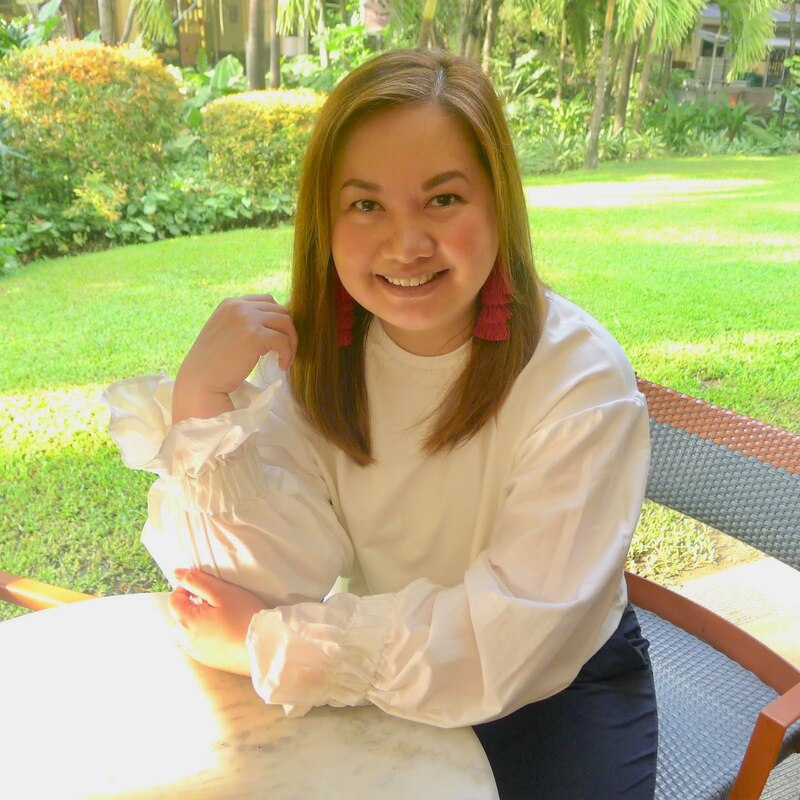 Along with all the trimmings and festivities that goes with the Christmas season, one thing I surely like is listening to Christmas songs. 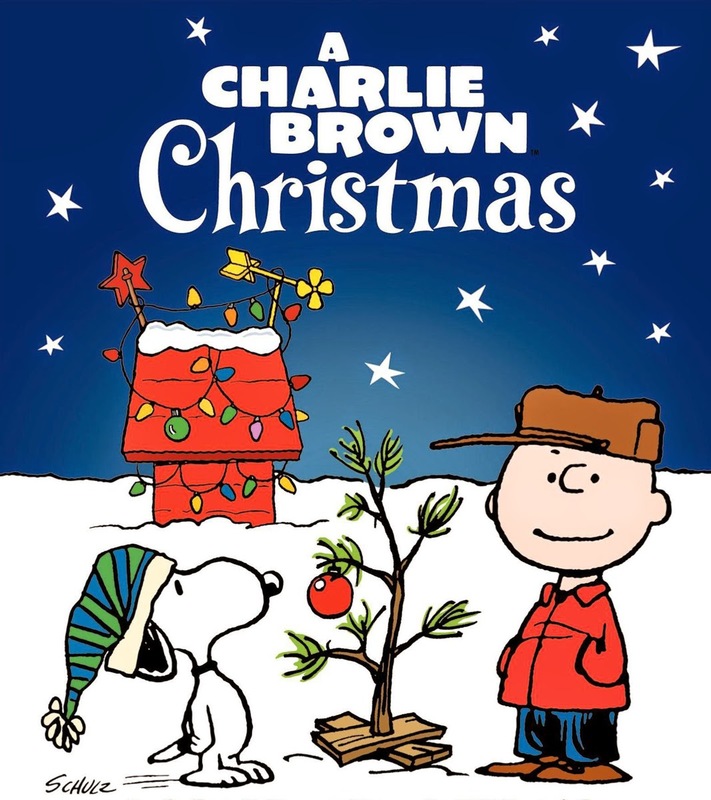 But among all the Christmas CD's that we have, there is one CD that's always on repeat mode - and it's "A Charlie Brown Christmas" by the Vince Guaraldi trio. 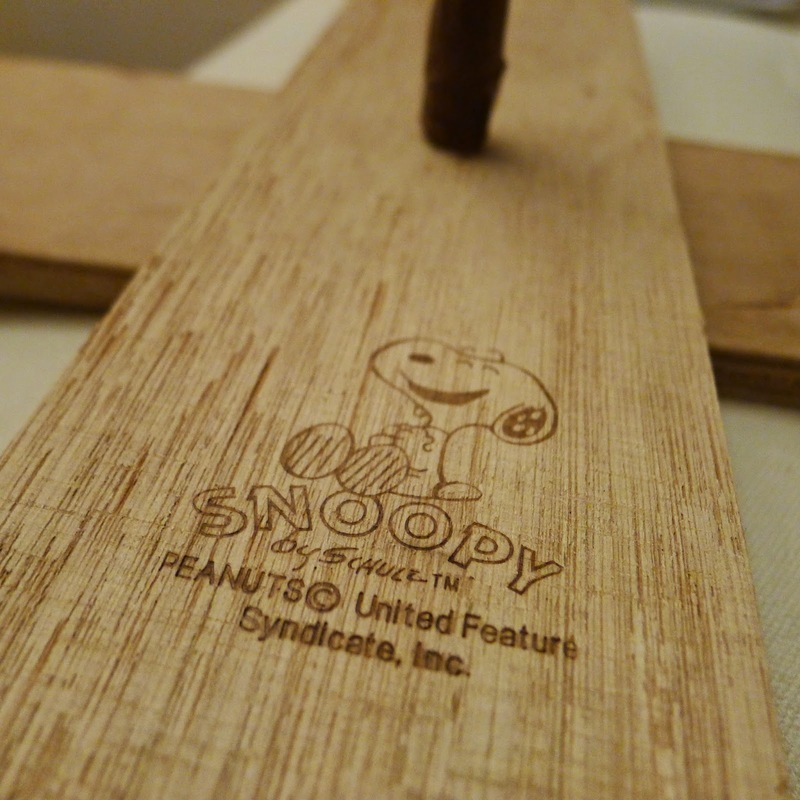 It's the original soundtrack to the musical to animated television special of the same title, which is based on the comic strip "Peanuts", by Charles M. Schulz. It debuted in 1965 and has since been honored with the Emmy and Peabody award. It is aired traditionally every year during the Christmas season (in the US). What I like about this Christmas CD is that the recording is raw. There's a track named "Christmas time is here" where the choir is composed of kids. Apart from the meaning of the lyrics, I love that this track was not "cleaned up" to meet music industry standards. You'll sometimes hear a child go off key, and to me, it's actually quite charming. I think it's my love for this Christmas CD that drove my husband, Mickey to get me a nice surprise. He gave it to me unwrapped, which it is absolutely perfect - It is as simple as what the content of the box was. 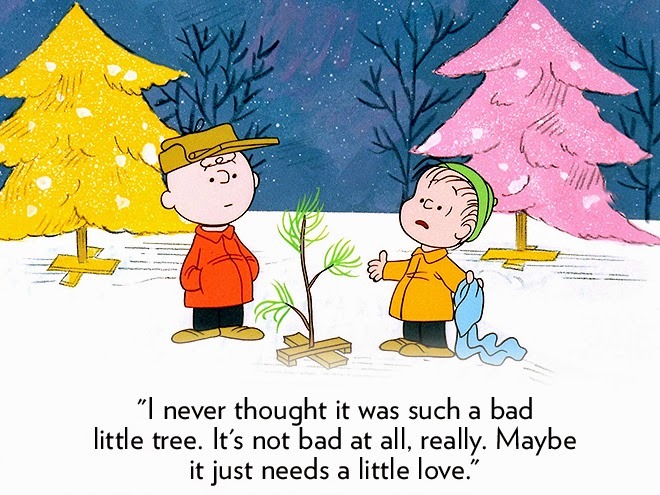 It was the Christmas tree from "A Charlie Brown Christmas". I've always been fascinated with beautiful Christmas trees. You'll find me admiring them for long periods of time. But this one, is quite special. You know how some gifts are well thought of and are absolutely straight from the heart? This is one of them. It came in a triangular box with two planks of wood, and you have to screw in the tree trunk onto the wood planks to secure it in place. The Christmas tree (a sapling), unlike most of the ones sold in stores and even in Christmas tree yards around the world, is sparse and the only decor it comes with is a shiny red Christmas ball. 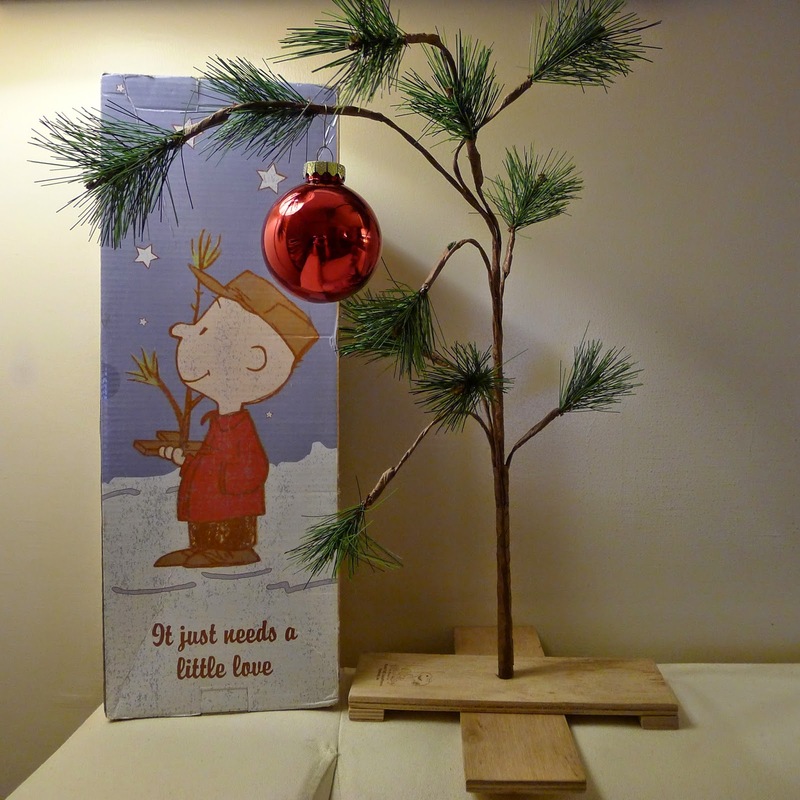 Since we put up our Charlie Brown Christmas tree, I have a tendency of checking it every now and then, making sure the shiny red ball still droops to one side. Right now, it serves as a table centerpiece and serves as a wonderful reminder of what Christmas really is about - the birth of Jesus Christ. 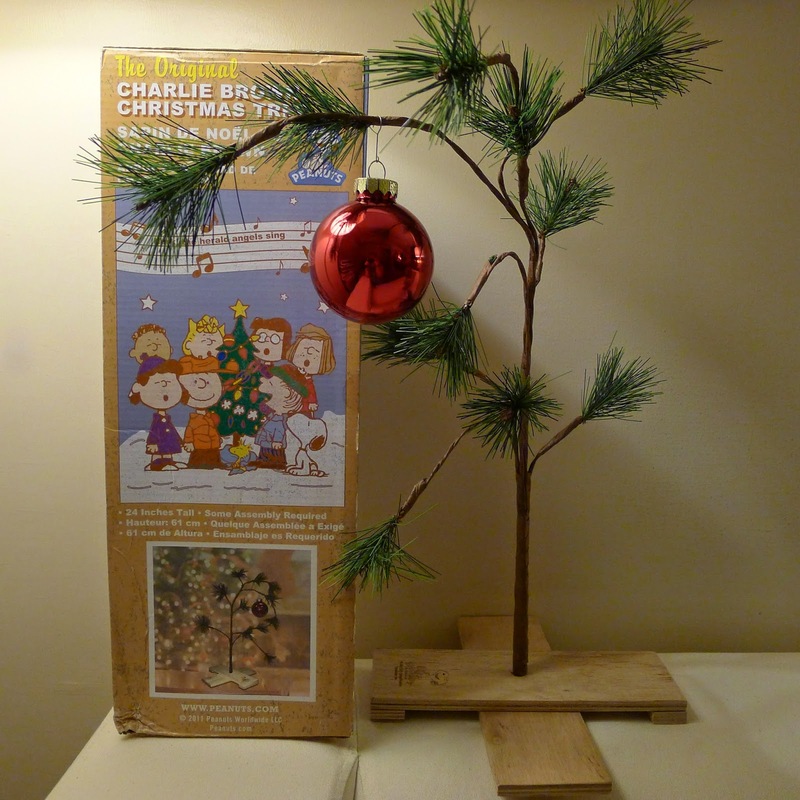 If you haven't seen the Charlie Brown Christmas Special watch "A Christmas Miracle - The Making of a Charlie Brown Christmas" here.